A glamorous design doesn’t mean it has to be over the top. Understated glamour defines this master bathroom, which features an oversized tub, spacious shower, and a dedicated makeup table. Soothing colors and lighting make this the most relaxing room in the home. 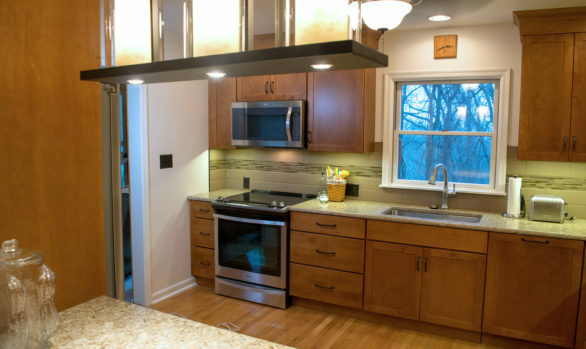 Learn more about the other designs that took place in the home, including a kitchen, coffee bar, sunroom breakfast nook, laundry room, classic bathroom, and gorgeous gray bathroom.